I started this book right after finishing Fallen and many of my comments from my review of that book also apply to this one. I actually found Luce more annoying in this one. Sure, I could understand she was frustrated that no one would tell her anything, but she kept running straight into danger like an idiot. Keeping with the ongoing Twilight similarities, I also noticed that this is the book where she is 'apart from her love and considering other love interests'. On the plus side, I liked the way the Announcers were developed in this book. The way they work is pretty cool and it helped hold my interest in this second book in the series. So, I still wasn't blown away, but I am nonetheless moving on to book three in the series to see what that has to offer and what will happen next. 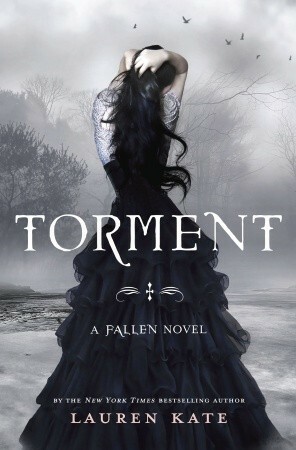 I've had copies of Fallen and Torment on my shelf for awhile, but haven't gotten a chance to read them yet. Since I own them, I know I'll get around to them eventually, but I've read so many mixed reviews that I'm a little hesitant to pick them up at the moment.